Durable and versatile, crafted from lightweight yet sturdy materials, this stand is composed of all the features you need. Our stands are sturdy enough to carry small to medium sized strobe units, External camera flashes and even back drop support bars. 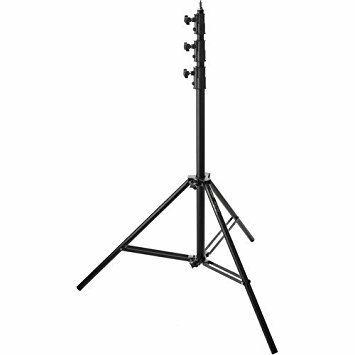 Our standard light stand goes up to 8ft, but we do carry a limited stock of 10ft light stands, so please call for availability.